If you’re visiting Citi Field for the first time, there are a bunch of things you should know about the ballpark in Flushing. A Mets game is a different kind of experience than at most ballparks, partly because of the location but also because of the menu. 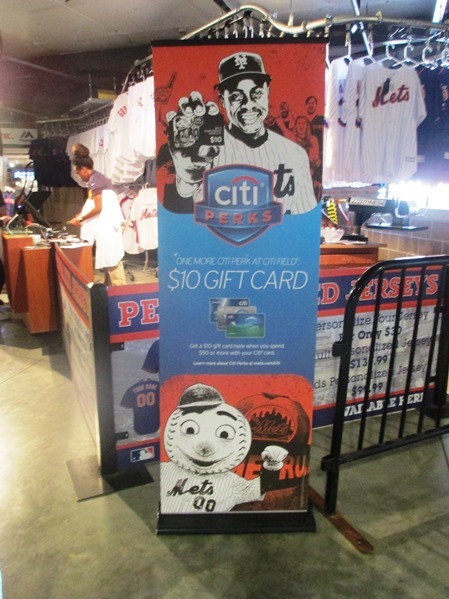 Citi cards…endorsed by Mr. Met! Visiting Citi Field, Tip #1: Get a Citibank credit card. 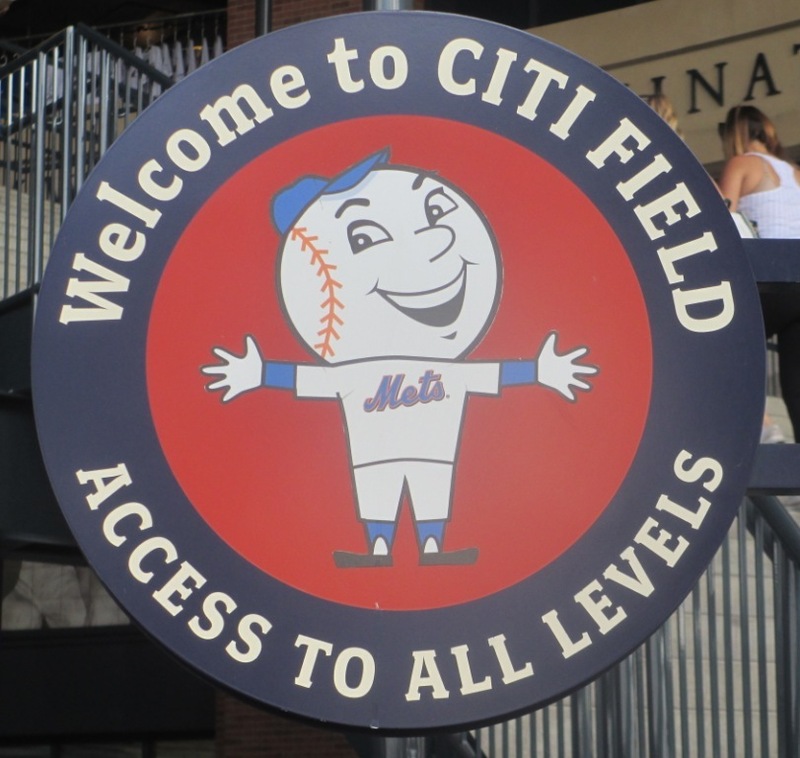 If you’re going to a few games especially, a Citi credit or bank card is a great thing to have. With it you can get special discounts on tickets, merchandise and food, and it doesn’t hurt to shave a couple of bucks off of a Pat LaFrieda sandwich. If you can, score a Citi MasterCard…MLB loves MasterCard, and it will help you with discounts on Yankees and Cubs tickets too should you need them. It’s worth the trouble of that extra credit card. This will put a damper on your visit. 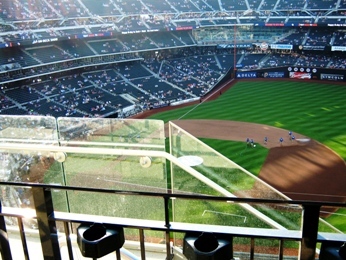 Visiting Citi Field, Tip #2: Watch for obstructed views. There are some deals to be had on the upper Promenade level, but the 500 level especially suffers from serious obstructed views, mostly from the glass landings at nearly every section. It can literally block your view of the entire infield in spots. Try to avoid low-numbered seats in low-numbered rows, especially if you’re sitting past the infield. If you do wind up with a rotten seat, you might be able to call an usher and ask for a better spot. 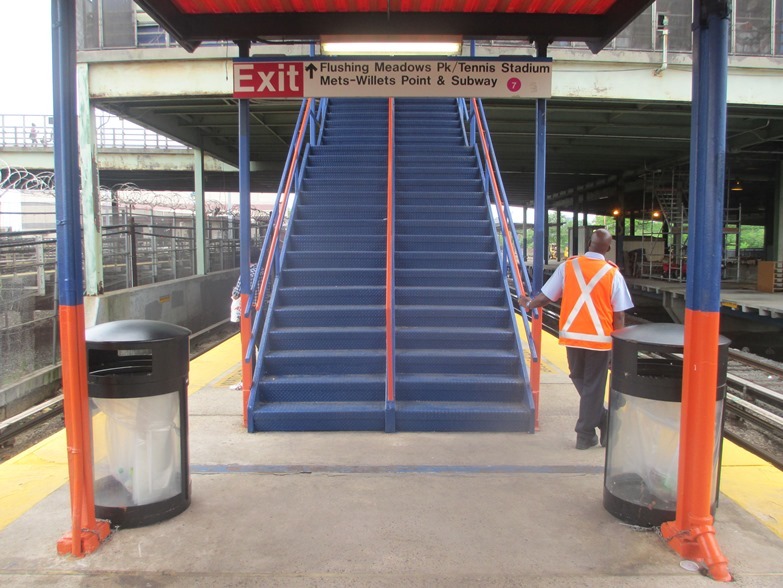 The easy-to-find stairway to the Mets ballpark! Visiting Citi Field, Tip #3: Use the LIRR. The 7 train from Manhattan isn’t as bad as John Rocker says, and it has its merits like being a cheap ride that avoids traffic. But the local trains especially are sloooooow, and the Mets express trains might not stop at key transfer points like 74th Street. If have a choice between the 7 and the LIRR, use the LIRR…it’s a few bucks more, but it’s much faster, you’ll be sitting in a comfortable seat, and the train drops you off at Mets-Willets Point right at the ballpark just like the 7 does. You probably don’t want to sit in traffic driving to Citi Field, but the LIRR is a better alternative than the 7. Hey, who took out the Brooklyn Burger sign? Visiting Citi Field, Tip #4: Consider your burger choices. Here’s a little secret I can tell you about the Shake Shack, which is by far the most popular food stand at Citi. Is the Shackburger a great burger? Yes, it is. Is it worth a two-inning wait in line? No, it’s not. In fact you have three other great burger choices at Citi that rarely have a long line…there’s Keith Hernandez’s burger stand in the left field corner that features some unusual and spicy burgers (and a Tootsie Pop), Chef Josh Capon’s Bash Burger (bacon jam! 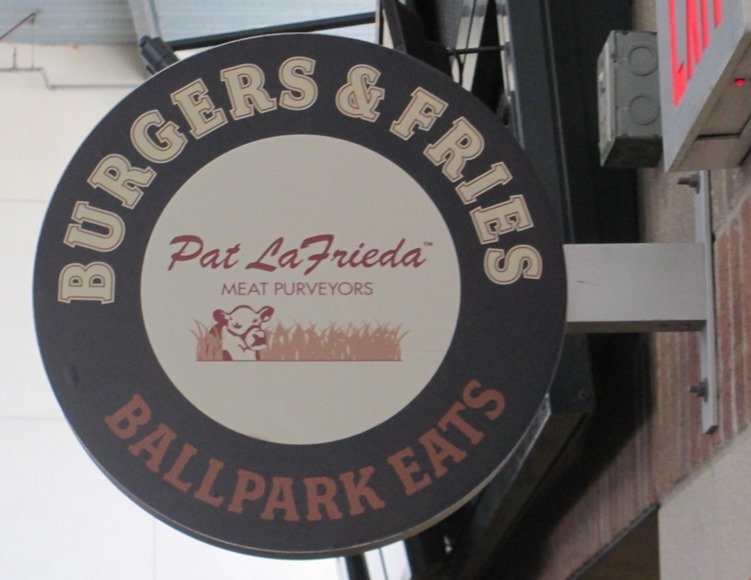 ), and the Burgers & Fries generic stands…and before you blink, know that those generic burgers are made with Pat LaFrieda beef and you can top them generously at condiment stands that even include that NYC red onion relish. Don’t get me wrong, I love the Shackburger, but get there when the gates open if you want one. Visiting Citi Field, Tip #5: Check out the Coca-Cola Corner view. The Coca-Cola Corner, formerly the Pepsi Porch, is the mezzanine level section in right field, out in the sun and with its own concessions area that has sofa seats and such. And the Coca-Cola sign is very cool. 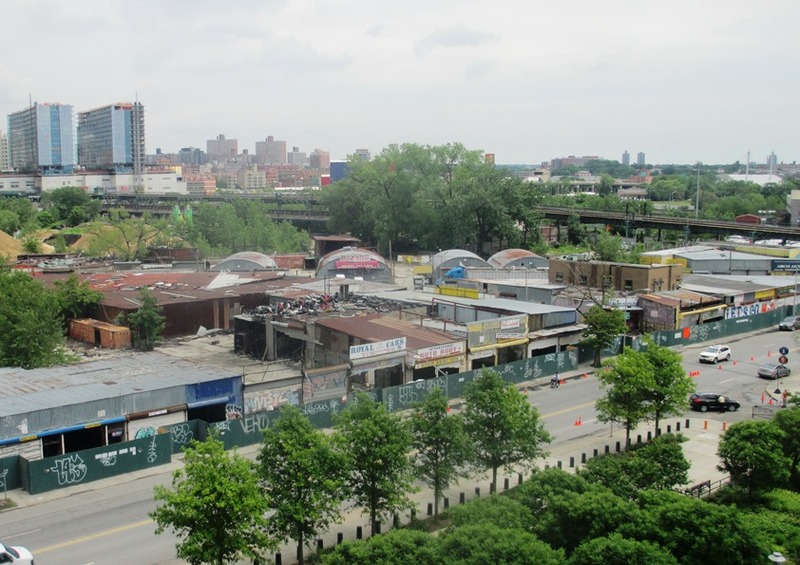 You should take a walk up here just for the view of Queens west of the ballpark…nothing but chop shops for blocks. It’s like there’s a completely different world just across the street. This will probably change in the future, but it’s worth a look now. There you go, five tips for visiting Citi Field. Of course, you need to check out the Jackie Robinson Rotunda and the Mets Hall of Fame, and the Mets feature one of the best pyrotechnics nights in baseball. And the kids play area isn’t too shabby if you like dunking someone wearing opposing team gear.